WHAT a travesty we may not get to see emerging cricket nations such as Afghanistan, Ireland, Scotland and the UAE playing at the 2019 World Cup in England. The associate countries put on two of the most entertaining games imaginable in consecutive days this week, but International Cricket Council bosses, in their wisdom, have decided just 10 places will be available for the next tournament - four less than this year. Ireland and the UAE put on one of the games of the tournament in Brisbane on Wednesday night, the UAE reaching 9-278 before Ireland made 8-279 with four balls to spare. And Afghanistan recorded its first Cup victory yesterday, chasing down Scotland's 210 in the final over in Dunedin. 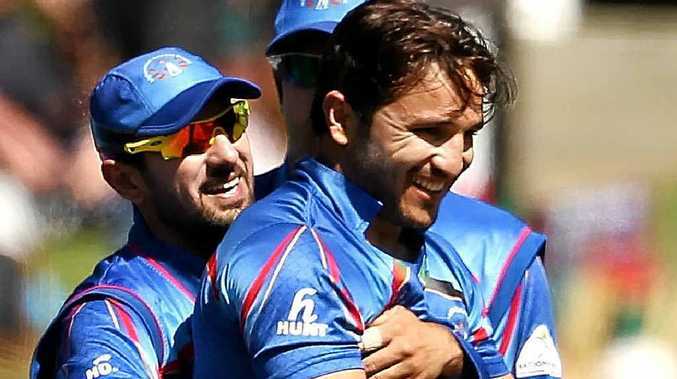 Samiullah Shenwari was the hero for the Afghans, the 28-year-old putting on 96 to get his side to within 19 runs of victory with as many balls remaining. The last pairing of Shapoor Zadran and Hamid Hassan managed to get their side to 9-211 with three balls to spare, sparking scenes of complete jubilation among Afghanistan players and fans. Scotland was also chasing its first World Cup victory, tailend batsmen Majid Haq (31) and Alasdair Evans (28) doing well to set a target of 210 after the team had slumped to 8-144. All eyes on hosts’ epic Cup clash?